Past issues of GEO have reported on the emergence of a particular type of worker cooperative, the home care cooperative. In the 1980s, the federal government followed the lead of state governments like Wisconsin and acknowledged that elderly and disabled people who need help in day-to-day living are best served by in-home assistance. Medicare and Medicaid funding that would have otherwise been used only for nursing homes would now be applicable to home care services. With "the gray tsunami" of aging baby boomers looming, demand is only going to increase for the next few decades. An industry, frequently exploitive, has arisen to meet this need, employing large number of low-skilled workers who receive minimal pay and often no benefits or job security at all. GEO #74 reported on Cooperative Home Care Associates of South Bronx, NY, (Cooperative Care: A Cooperative Model for Homecare) the leading home care worker co-op in the US. CHCA has around 875 worker-owners, also making it the largest worker co-op in the US. 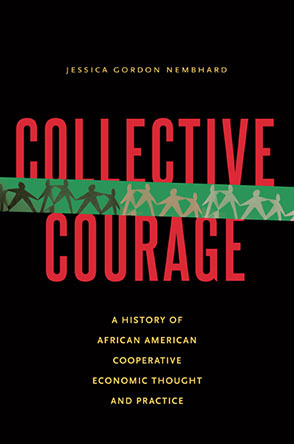 Since the success of CHCA, other co-op development efforts have attempted to create similar urban worker co-ops, with distinctly mixed results. After opening the door wide in the 1980s, the US Congress in 1997 lowered the reimbursement rate for non-nursing services, radically reducing the funds available to the state governments to support these services. This is placing tremendous downward pressure on the pay for these workers and straining the business model of start-up co-ops. The good news is that cooperatives and cooperative assistance organizations from all sectors have been rising to meet this crisis. They've been putting the 6th Cooperative Principle, cooperation among cooperatives, into action by providing critical start-up funding and technical assistance to caregiver-owned worker coops. CDF's Mutual Service Cooperative (MSC) Fund focuses on cooperative development initiatives that will enhance the quality of life of seniors living in rural America. Liz Bailey, until recently Executive Director of CDF, explained in an email interview that MSC has made several grants to start-up worker-owned home care co-ops since 2005. Cooperative Care of Wautoma, WI, (see GEO #72/73 , Waushara County and Cooperative Care: An Enduring Partnership) received their first grant of $11,977 in 2005 to develop a training program to increase worker satisfaction and the quality of client care. The grant also funded development and implementation of a values-based performance review system for Cooperative Care. In 2006, CDF also sent four members of Cooperative Care to the Conference of the US Federation of Worker Cooperatives in New York City. And in 2007, CDF provided $25,000 for a training program that will help current and new members learn more about worker-owner roles and responsibilities. The training will be available on CD so that it can be used by other home care cooperatives to train their own member-owners. Margaret Bau is a Cooperative Development specialist with US Department of Agricultural Rural Development in Stevens Point, WI, and was a key player in the start-up of Cooperative Care. The USDA has been deeply engaged in rural economic development and the development of agricultural cooperatives since before the Great Depression. Margaret's experiences in starting Cooperative Care and similar efforts have made her one of the leading experts in home care worker co-ops. In 1999, Waushara County in central Wisconsin was looking for a way to better support and empower home care workers, in spite of the meager Medicare and Medicaid funding available under the new law. Margaret consulted with Jim Megson of the ICA Group, a not-for-profit organization which creates and save jobs with worker co-ops and community-based projects. Jim had been instrumental in the start-up of CHCA, and had also seen a number of similar efforts in urban areas fail after the passage of the law. Margaret recalls that Jim was very skeptical at the prospects of another start-up effort, especially in a rural area. "We took a serious look at the situation in Waushara county," recalls Margaret, "and it was very different than what was going on in these urban centers. There would be a contract with the county. We were working with an experienced, veteran group of caregivers with no training involved whatsoever - whereas the model in the Northeast was all about training programs and the co-op was created as a good place to work after people got out of the training." In other words, the Northeastern programs were more oriented towards job creation in an urban area, while the central Wisconsin model was trying to improve working and living conditions for experienced home care providers. About the Waushara County effort, Margaret adds, "Another important distinction which is unique, is that there was no competition. It's a very rural county." The population density was too low for any for-profit agencies to be seeking business in the area. The effort had "total support" from the County, especially in bringing caregivers out to two meetings in November of 1999 to present the idea. It was the first time that all of the caregivers in the area - over 60 people - had actually gotten together. "About 12 caregivers stepped forward to serve on the steering committee. We met once a month, going through the typical steps of starting a co-op," said Margaret. Also, the local rural electric co-op "had a retired Chief Financial Officer who provided some wonderful support to the co-op in helping educate the initial executive director in how to set up the books and take into account the patronage refund and the equity accounts." Cooperative Care now has 85 worker-owners. Liz Bailey makes it clear that CDF's funding of worker co-ops doesn't stop with Cooperative Care. "We also provided a grant in 2006 to CAP Services, Inc, a community development organization in central Wisconsin which was using the funds to study the home care cooperatives in Wisconsin and developing a model structure that will be available on the UW Center for Cooperatives' website." In 2007, CDF also supported the newly-incorporated Circle of Life Cooperative of Bellingham, WA, in conducting a market analysis and business, financial and strategic planning. CDF has also supported the work of the Northwest Cooperative Development Center (NWCDC) of Olympia, WA, in helping to establish Paradise Home Care Cooperative in a sparsely populated area on the Big Island of Hawai'i. The grant funds are for a series of interactive town meetings that involve seniors, their families and current caregivers. Diane Gasaway, Executive Director of NWCDC, describes the meetings as "an innovative community outreach." The model reflects the Hawai'ian tradition of "talk story" and is called a "SpeakOut". It was co-developed by Dr. Wendy Sarkissian, a social planning consultant from Australia, who came and led a special training with the home care providers. Says Diane, "It's a community gathering where folks have a chance to go around and express in a pretty relaxed atmosphere, kind of fun, what their impressions are about home care needs. It's a way to introduce the Co-op as well." On the trend toward home care worker co-ops, Diane says, "Like other places around the country, it's not an issue of 'not enough work', it's 'not enough care providers'." Diane and NWCDC have been deeply involved in the development of this home care worker co-op in Hawai'i, which was incorporated in March of 2008. In addition to supporting business plan development, bylaw development, and board training, NWCDC was critical in helping Paradise meet an unexpectedly short deadline to get on the approved vendor list for their county's home care case management and referral agency - an essential source of revenue for the fledgling co-op. NWCDC staff burned the midnight oil to get Paradise incorporated in good standing, addressed tax issues, secured insurance, and helped complete the vendor listing application. NWCDC also helped Paradise secure critical technical assistance funding with a USDA Rural Cooperative Development Grant and is assisting in acquiring a loan for operating capital from CDF Board Member LEAF (Local Enterprise Assistance Fund). Paradise Home Care is scheduled to open July 1. In fact, NWCDC itself is another example of cross-sector cooperation among cooperatives. Their board includes people from the REI outdoor equipment consumer cooperative, the Group Health service cooperative, the Washington Credit Union League, and the Washington State Council of Farmer Cooperatives. NWCDC is a member of CooperationWorks!, a nationwide co-op comprised of 18 co-op development centers serving communities in 41 states. Meeting the increasing home care needs of elderly and disabled people seems to be a natural fit for worker coops. Such a model also fits the needs of the workers, who are otherwise often underpaid, overworked, and left to fend for themselves. Even with the reduced funding from the public sector, rural home care coops are proving that they can serve clients, workers, and the community better than their for-profit counterparts - and co-ops of all types have been joining forces to help make it happen. And just as these home care co-ops have effectively adapted the model of their city counterparts in the south Bronx, hopefully cross-sector cooperative developers will begin to focus on future urban home care co-ops, taking renewed inspiration and learning some new tricks from these rural success stories.